1 What is Nail Psoriasis? 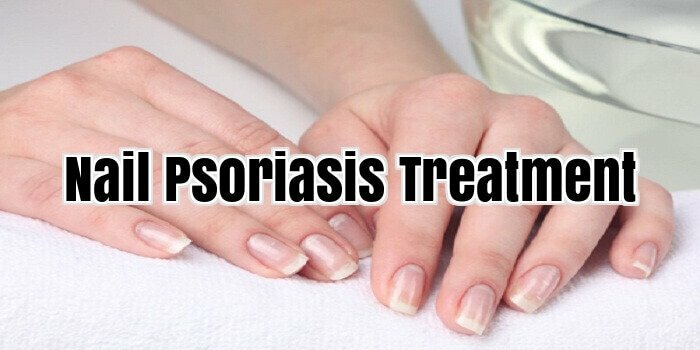 1.1 What is Nail Psoriasis? Psoriasis is a skin condition that causes a red rash to develop on the skin’s surface. About 7.5 million people in America have this skin disorder and approximately 150,000 to 260,000 new cases are diagnosed annually. People with psoriasis of the skin are more likely to develop psoriasis of the nails. Over 55 percent of people with psoriatic arthritis also develop psoriasis in the nails. Nail psoriasis is a nail disease. The severity of the condition can range from mild, moderate to severe, and it is often a chronic condition; though there are some cases of acute onset that occurs once and never reappears. Nail psoriasis affects the nail, nail bed, and occasionally the surrounding bones. You can develop the condition in the fingernails and the toenails. Nail psoriasis can also develop in combination with other nail infections. It is a good idea to have the nail examined by the doctor to sort out the various infections and get treated for all of them. At this time, the cause of psoriatic nails is unknown. It appears to be the result of the same genetic and immunocologic conditions that cause other types of psoriasis like plaque or guttate. Environmental factors may also contribute. There is a hypothesis that a fungal infection may contribute to the development of nail psoriasis. A psoriasis cure does not exist at the current time. However, there are numerous treatments for nail psoriasis that can alleviate symptoms and restore nails. These treatments include topical products, radiation, systemic drugs, or a combination of several treatments. Common remedies include tacalcitol ointment, clobetasol, 5-fluorouracil, calcipotriol, and simponi. There is quite a bit of debate as to how effective they are at treating the disease. Additionally, many of these medications can cause unpleasant side effects. Biotin is a member of the B complex family of natural vitamins and is needed for synthesizing carbohydrates along with fatty acids. Biotin, often known as Vitamin H or vitamin B7, may be found in foods routinely included in a healthy and well balanced diet and it is also developed by healthy bacteria that work inside the intestinal track of the body. While your individual body’s need for biotin is fairly low, there are certain food routines or alternatively health-related circumstances which sometimes result in biotin deficiency. A majority of biotin deficiency disorders tend to be found in newborns as they haven’t yet developed the particular intestinal bacteria’s which assist in the creation of biotin and thus aren’t able to realize the full biotin benefits for their body. When it comes to grown people, having a great number of egg whites can produce a deficiency purely because the egg whites embody considerable amounts of avidin, a protein which likes to bond to biotin, which can actually diminish the body’s power to synthesize the needed sums of vitamin B7. Biotin shortage could also result from taking anti-bacterial medications since these meds can potentially kill the biotin-producing bacteria in the intestine. It’s critical to note that excessive hair loss, loss of weight or even unhealthy fingernails as a result of insufficient vitamin B7 will most likely go back to normal any time you resume healthy eating habits. With these recognized “good” habits happens to come the majority of the added benefits of biotin. An absence of biotin in your diet can easily result in your head of hair looking finer and more fragile should biotin numbers in your system slip a bit too low. Hair may start to thin along the top of the head and may show clear signs of damage. The most typical variety of skin inflammation found on men and women who have problems with a real vitamin B7 insufficiency is in fact seborrhoea dermatitis. This particular health problem leads to flaking and irritation located on the scalp and other comparatively oily zones – notably to the ears – and can also sometimes be responsible for hair loss. Children battling with this disease could possibly suffer from muscle aches and progressive balding. Fingernails or toenails can become brittle and thin if your primary diet is lacking in biotin. Splitting and possibly even more severe damage may appear and you may then see that all your fingernails generally feel thinner and much less tough. Hyperesthesia is in fact a rise in the stimulation within the sense organs. Augmented stimuli of the actual senses might include the sounds that one hears, the food that a person tastes plus the textures that a person can feel. Parathesia creates a slight tingling or prickly feeling to the skin and may also sometimes be combined with feeling numb. This would seem like the pins and needles sensation or even the sensation of your own leg falling asleep. This is mostly a short-run problem and shouldn’t last for too very long. Despite the fact that eating disorders are not indications of biotin deficiency, they could induce it. Anorexia, and also bulimia, might deny the entire body of the substances it needs simply because of lower levels of intake. As stated before, a healthy and well rounded diet is most likely to cut down these problems and carry vitamin B7 values back to regular. Supplements are also able to deliver relief and are commonly used to successfully minimize symptoms.